In our growing Colorado, there's a constant back and forth between preserving our history while also welcoming new development. 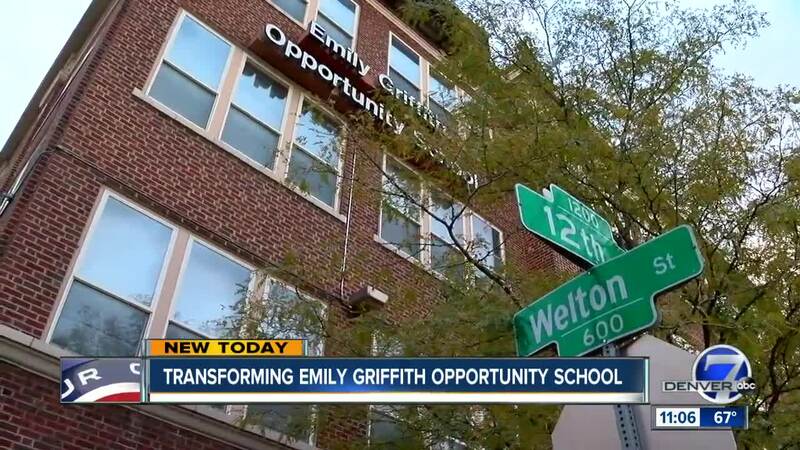 The former campus of the Emily Griffith Opportunity School downtown celebrates both. Editor's Note: 'Our Colorado' helps us all navigate the challenges related to growth while celebrating life in the state we love. To comment on this or other 360 stories, email us at OurCO@TheDenverChannel.com . See more 'Our Colorado' stories here . DENVER — In our growing Colorado, there's a constant back and forth between preserving our history while also welcoming new development. The former campus of the Emily Griffith Opportunity School downtown celebrates both. Stonebridge Companies plans to transform the old campus located on Welton Street between 12th Street and 13th Street into a hotel featuring a restaurant, bar, and retail shops. The original Emily Griffith Opportunity School opened at that location back in the 1920s. The school moved in 2014 and Stonebridge Companies bought the property from Denver Public Schools in 2016 for $25 million. The entire project is expected to cost about $97 million. Emily Griffith Opportunity School Dental Assisting Instructor Tonya Robinson attended classes in the old building. Robinson said she’s sad to see the original structure change, but is excited that the developer will preserve some of the historic buildings. The groundbreaking for the redevelopment project will be held Tuesday, April 9 at 2 p.m.